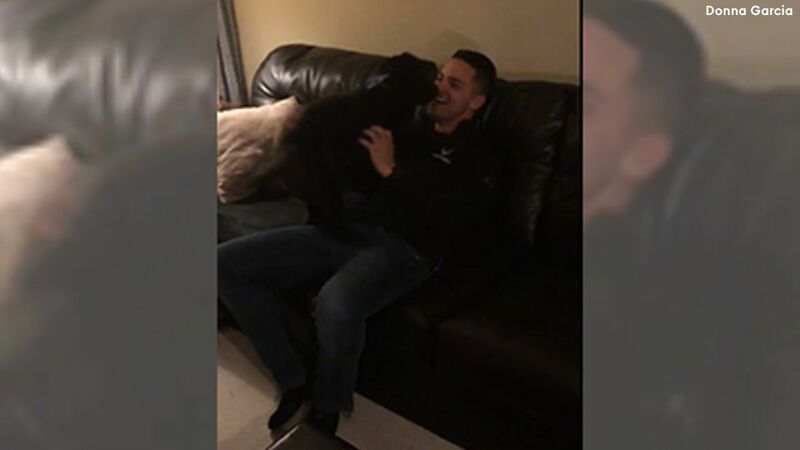 KING OF PRUSSIA, Pennsylvania -- One loyal dog definitely got what he wanted for the holidays - his owner back home. Donna Garcia says her husband Rey, a member of the U.S. Air Force, has been away since August at the Sheppard Air Force Base in Texas. When Donna took Ben out for a walk, Rey snuck into their home in King of Prussia, Pennsylvania.